Yes, I’m talking about launch day. That day when you finally push your WordPress site live and get to share it with the world. But what are the things that you need to do right after launching your WordPress site? And how can you be sure that you’ve actually ticked all the boxes and are ready for primetime? Wouldn’t it be great if you had, say, a checklist of things you should do right after launching a WordPress site? We thought so – which is why we created this guide based on the launch tips we give to our enterprise clients. But you don’t need to be an enterprise to take advantage of these tips – no matter what size WordPress website you’re launching, you can benefit from this checklist. Ready to go? Let’s dive in and make sure your site is ready for traffic! As soon as you launch your site, Google’s search crawlers are chomping at the bit to start indexing it. It’s important to make sure that you’re ready to meet them by double checking all of the SEO settings on your site. When you’re working on your development site, you likely added a noindex tag to ensure that Google didn’t accidentally index your site before you were ready to go public. In the excitement of pushing that development site live, it’s surprisingly easy to forget about that tag. I know – you would never make such a simple oversight. But, I’ve actually seen a startup with tens of millions in funding do just that. So, as trivial as it might seem, it’s a good idea to double check that your site is indexable before you push it live. Additionally, because you may have manually added the noindex tag, you can use one of the manynoindex checker tools. If you’re using a WordPress SEO plugin, make sure that you have it properly configured. Most SEO plugins include both general settings as well as content-specific metaboxes. Beyond general settings, you should also go through and verify that you’ve set up custom titles and meta descriptions for all of your important pages. It’s unlikely that you need us to explain the importance of analytics tracking to your site. But what you might need is a reminder to ensure that you actually have everything set up to start collecting helpful data. To start, make sure that you’ve properly added the universal Google Analytics Tracking Code to your site. Add that code to thesection of your site to enable Google Analytics tracking. Google Analytics’ Site Search Tracking feature helps you understand what users are searching for on your site. It tracks all search queries (like those entered in the WordPress search widget) and presents them as a report in Google Analytics. But in order for it to function, you need to turn it on and complete some minor configuration. Then, scroll to the bottom and turn on the Site search Tracking option. Once you turn it On, you’ll also need to enter the Query parameter so that Google Analytics knows what to track. Make sure to Save your changes when you’re done. Goals and events help you track what your visitors are actually doing on your site. They go beyond regular Google Analytics reports and help you track conversion rates, specific elements that visitors click on, and plenty more. If possible, you should use Google Tag Manager to implement your tracking. But if you’re looking for a more user friendly WordPress solution, WP Google Analytics Events is a plugin that helps you add event tracking from inside your WordPress dashboard. 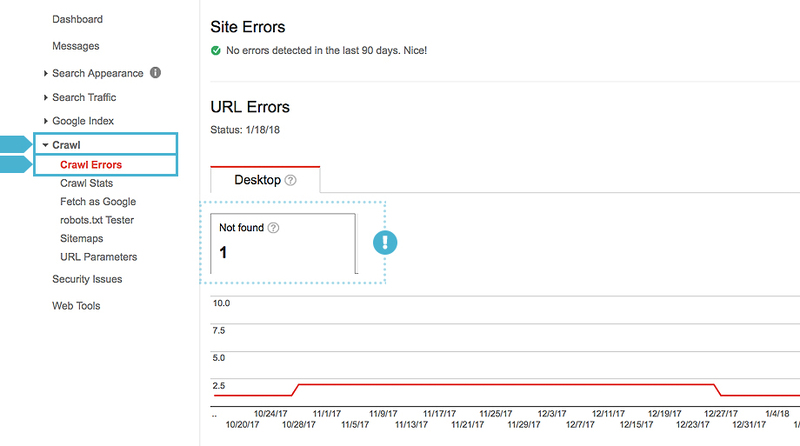 Formerly known as Google Webmaster Tools, Google Search Console helps you monitor how your site gets treated in Google Search. You can view helpful analytics, change how your site looks in the search results, and submit information to help Google better crawl your site. But to get all of these helpful features, you need to register your site with Google Search Console. Assuming you’ve already added the Google Analytics tracking code, the process will only take a couple seconds. Most SEO plugins create a sitemap for you at “yoursite.com/sitemap.xml”. Submitting this sitemap helps Google better understand the structure of your site, which can improve how effectively Google crawls your site. While WordPress user roles are important for all WordPress site owners to understand, they’re doubly important for enterprises. As you go forward with your new site, you’ll likely need to add new user accounts for editors, authors, administrators, and more. Understood and implemented properly, user roles help you lock down the exact permissions that you give to each user with access to your site. In general, you’ll want to severely restrict access to the Administrator and Editor roles. This helps keep your site safe and secure by using the principle of least privilege to limit access to only those features that each user absolutely needs. If you need more granular control over user permissions, you can also use a plugin like User Role Editor to create your own custom user roles. Or, you can have your developer hard-code custom user roles using the add_role() function. When you were getting ready to launch your site, you probably checked and rechecked the important functionality on your development site. Just because something worked on your development site, that’s not a 100% guarantee that it will work on your live site. For example, contact form plugins often run into issues with caching plugins. But if you weren’t actively caching your development site, you might not catch that issue. That’s why it’s important to test everything again once you push your site live. Social integrations like share buttons, follow counts, embeds, and more. After you check things manually, you might even want to use a tool like Pingdom to set up transaction monitoring for mission-critical user flows. When you first launch your site, you’re going to be especially susceptible to 404 errors and broken links. These could be relics from your development environment or just accidental oversights. You’ll need to enter the Page Title of the actual 404 page used by your WordPress theme. Because each theme uses its own 404 page, you’ll need to investigate this for yourself. That covers humans – but what about search engine robots? The plugin is nice because it integrates right into your WordPress dashboard and makes it simple to fix any broken links that it finds. But, it does use server resources and some people complain that the plugin can slow down the WordPress admin dashboard. Finally, it’s important to remember that your work doesn’t end when you launch your site. Instead, you’re in for the slow, steady slog that is WordPress maintenance. We always recommend implementing security at the server level with a host like WP Engine or Pantheon. If you’re not already hosting with one of those hosts, your next best option is to install security plugins like Wordfence or Sucuri Security. Backups are absolutely essential to ensuring the integrity of your site. Again, whenever possible we recommend that clients run backups through their host. But if that’s not an option, a tool like VaultPress is a good second option. No matter what, make sure to test your backups and follow safe backup storage principles. Update WordPress and plugins/themes as quickly as possible, but make sure you test updates on a staging site and read changelogs to prevent potential issues. We hope that going through this list was as simple as checking off boxes for things that you’ve already done. But if something had slipped by, you hopefully had a chance to catch it early and ensure that your site’s launch is a success. Then, as long as you stay on top of your WordPress maintenance, you’ll be in a great position as your site continues to grow.